Macomb Professor Karen Wickline’s path to teaching is a textbook case of self-actualization. And the fact that she now spends much of her free time in prisons, should inspire her forensic psychology students not alarm them. It’s a specialty that Wickline didn’t even knew existed when she majored in psychology at Moravian College in Bethlehem, Pennsylvania, where she grew up. In fact, she had intended to pursue a degree in sports medicine until a male professor steered her away from the field, advising her it was better suited for men. Although she still disagrees with his intent, she appreciates the door it opened to discover what it was that she really wanted to do. 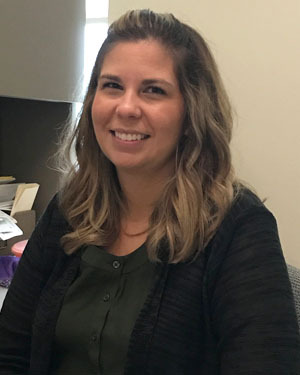 Previous to her move to Michigan, Wickline earned a master’s degree in clinical and counseling psychology from Chestnut Hill College in Pennsylvania and worked in an independent living program for young adults with mental health and substance abuse issues. From there, she went to a hospital emergency room, where she did psychiatric evaluations on patients who had attempted suicide or overdosed. Wickline, however, may never have been here for those potentially life-saving discussions if she hadn’t been asked to sub for a psychology class at Northampton Community College in Pennsylvania. That’s when she discovered her true calling and proceeded to earn a doctorate in education from Argosy University.